Dislike moose mucking? Well, you might like it a bit better in a tracked ATV. 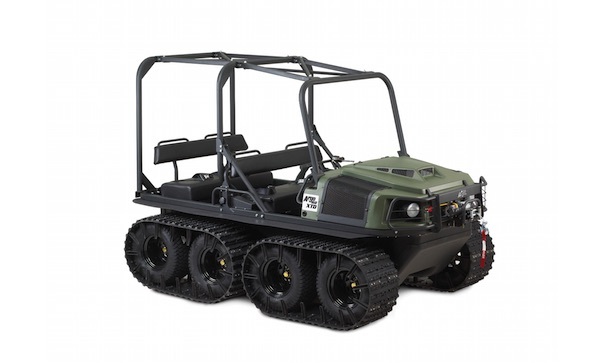 The Argo 8×8 XTD ATV ($ inquire) is powered by a 1028 cc liquid-cooled, three cylinder Kohler Lombardini diesel engine, which provides 24 horsepower and 36.9 lbs/ft of torque. It can carry 1,340 lbs. on land, 840 lbs. in water, and can tow 2,000 lbs.